Fast-paced modern life has been constantly hurting people’s stomach and the gastric (stomach) cancer specialist from Modern Cancer Hospital Guangzhou points out that stomach cancer is 30% treated while 70% nourished, so a reasonable diet structure is the basis of health and premise of nourishing stomach. Then how the diet structure can be reasonable? The answer is very simple and you only need to follow the following four suggestions. The Asian meals often lack adequate calcium and a person normally needs 800ml of calcium a day, but the food of most Asians only contain 500ml of it on the average, which means 300ml are still needed, thus 250ml milk contains 300ml of calcium to supplement the rest calcium lack. 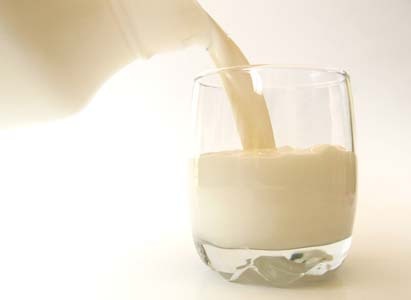 In addition, people who are not used to drinking milk can drink yogurt or soy milk instead. 250g of carbohydrates a day is enough, namely rice or wheat bread, and people who do manual work can eat more while people who are a little fat and do less labor can eat less. According to the following four rules: drink soup before meals, eat slowly, chew more, eat less in dinner, by doing this, you can easily maintain normal weight. Choose three types of food everyday from 50 g lean meat, one egg, 100g tofu, 100g fish or shrimp, 100g chicken or duck, 25g soybeans as high protein diet, for example, you can eat one poached egg in the morning, 50 lean meat in the lunch and 100g tofu or 100 g fish in the dinner. “Have both coarse and refined grains, take the foods that are not too salty or sweet. Have multiple meals a day but leave off with an appetite.” The first one, have both coarse and refined grains, you can eat three or four times of coarse a week, including cornmeal noodles , corn , sweet potato, which is good for health. The second one tells you not to eat too much salty or sweet, 6g salt a day is enough. The third one, have multiple meals means divide your meals into four to five times, such as eat some dessert during breakfast and lunch, take another meal at 4-5 PM before dinner, but notice that to keep the total amount of food you eat the same just only increase the times you eat them. Leave off with an appetite means you need to stop having meal and leave the dinner table when you are 70%--80% full.